The doors and windows of your storefront are usually how your store makes a first impression to customers. That’s true of both those that have already decided to enter your business, as well as those passing by that may or may not actually ever walk in. In either case, maintaining the appearances of your storefront should take priority. Should you ever need storefront door repair, you should look for a team of experienced specialists with the resources to get the job done well the first time. You might think you would never need that until an emergency arises, but if your entry is already showing signs of issues or complications, it might be time to arrange for and schedule storefront door repair in advance. The right service provider can diagnose, repair, or even totally replace your entry doors, be they glass, aluminum, or anything in between. Obviously, routine maintenance is going to be preferable to storefront door repair and typically the best way to keep your storefront entry working as it should, things can sometimes go wrong. Once you find the right service provider, you’ll have someone that can handle both routine maintenances when scheduled but also be available 24/7 for repairs when issues suddenly arise. The right service provider is going to be able to do everything from showing up in the middle of the night for emergency repairs to doing general maintenance and repairs during the day to handling full installations of new parts or entire doors and windows. 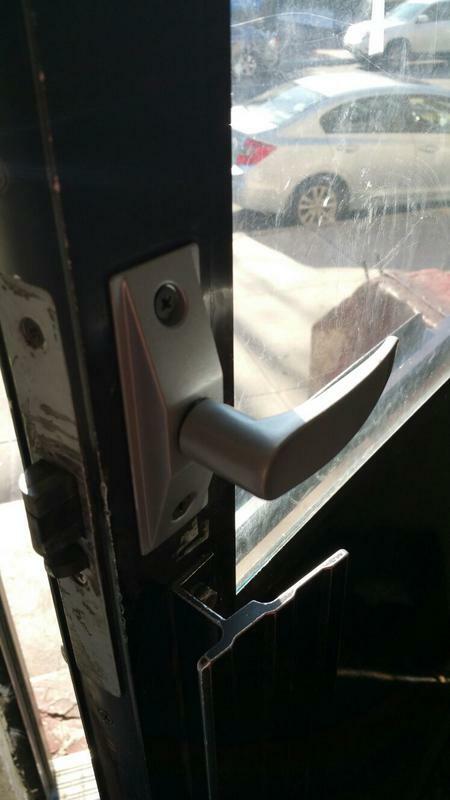 They should be able to handle roll-up doors, glass windows, and customer entry points with equal ability. Specific tasks might break down to things like replacing single door panels, working on the frames, fixing up slide support systems, and dealing with fractured glass or door tracks that are damaged, broken, or bent. Even if you haven’t run into some of these issues in the past, you might in the future. As such, make sure that your chosen service provider is able to handle the full spectrum of known and potential needs your store might have. There are many good reasons to choose only a single service provider for all this work. For starters, if you have one go-to contact, whoever in your store is responsible at the time for arranging an emergency repair won’t have to waste time calling around for quotes and questions; they’ll just know who the chosen service provider is and can call them directly. Secondly, when you and your staff only use one business for this kind of work, you all have a chance to get to know the technicians of the storefront repair service provider. In time, you’ll begin to trust them, which is crucial when it comes to the primary access points to your business, be it the customer entrance in the front or the loading dock in the back. One additional service you should make sure you have access to is an emergency board-up service. Sometimes, immediate repairs can’t happen. Damage from an accident or break-in might be too severe, and access to the site might be constrained by a crime scene investigation, inclement weather, and even mandatory evacuations or curfews. The right board-up service can provide your property protection from the elements and any outside debris, as well as security from potential illegal entry and safety from broken glass. Whether you get storefront repairs done at the time they are needed or after boards come down, always keep the aesthetics in mind. Any new or repair parts installed should not only match the rest of the decor, but even possibly add or enhance the decorative nature you have set up to entice customers into your business. Also, don’t pass up the chance to add marketing content such as your business name, address, phone number, logo, social media accounts, hours of operation, and other pertinent details. Depending on what happened that triggered the need for storefront repairs, you might even choose to take advantage of this opportunity to invest in some specific upgrades that might prove handy for your store’s circumstances and situation. For instance, fire-resistant materials might prove useful if your property is at risk of such an incident, and bulletproof glass might be a wise choice if your store is open late into the night. While New York is rarely in the path of late summer or fall hurricanes, powerful storms are still possible anytime of year. Impact-resistant safety glass is not a bad way to go, and tempered safety glass is always a good call. Security film can be applied to most any kind of glass for another level of protection; it still lets natural sunlight in, but this material resists tears and helps glass break up into safer, bigger pieces that aren’t as hazardous to clean up. You do, after all, want to see to the protection of your employees and customers both during and after an accident or incident. As you do go through the process of choosing a service provider for storefront door and window repairs, be sure you know how they are going to get paid and make the appropriate arrangements. Some stores just pay for such services directly out of their budget, but those who rent their location might actually have a landlord or property owner that would foot some of the bill, if not all of it. As such, they would need consulting about who they are willing to work with so you know who you can call in the middle of the night. Also be sure to go over what rights you have in terms of your business insurance, as they might have coverage you can use to cover repair services and their costs. Of course they might also have preferred vendor lists and prenegotiated prices that you need to stick to. 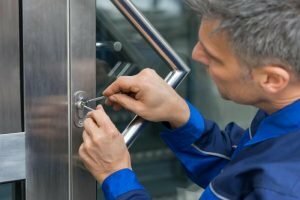 Protect your business all the time and maintain the inviting aesthetic of the front of your store by finding the right storefront door repair and maintenance service provider today. Now that you have read this article, you know why you might need them, what they should be able to do for you, and a number of considerations that go into the entire process. Highgate Security and Locksmith NY goal as a company is to build relationships based on quality perfromance and fair pricing. Contact us today for a free estimate and find out why New Yorkers have rusted Highgate for more than ten years.